A family friend gave this to me and I have no idea nor did he, what this is. I make knives and like to know what I am working with as do my customers. I know it it an exotic but that is all. 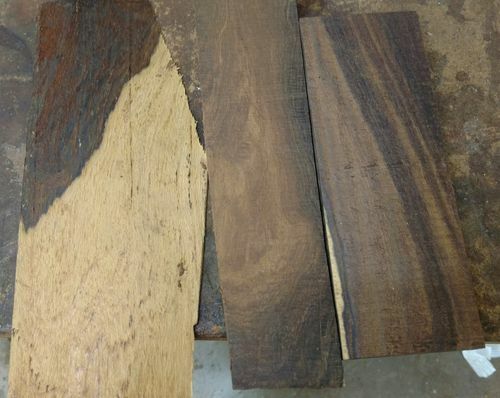 I don’t believe it is cocobolo as the coloration is not the same. A rosewood maby?? -- Use caution, slow down, and use the tool properly...the ER would love to have your money...don't give it to them. Thank you, checked out photos on the internet of zircote and that is what it looks like to me.